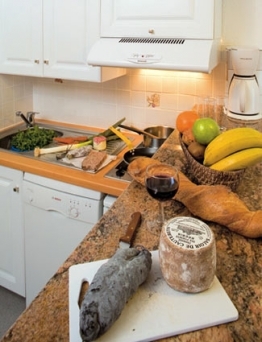 An intimate welcoming residence with friendly staff and a wealth of amenities for its size. Located in the elegant town of Cauterets, lose to shops bars and restaurants and perfectly placed just 100m from the gondola that takes you to the resort slopes. 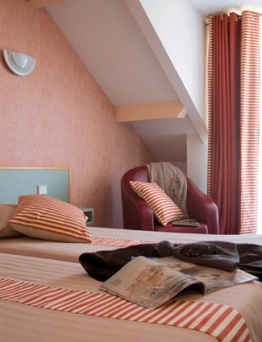 The warm and friendly Residence Le Lys is situated in the heart of Cauterets – often referred to as the city in the mountains due to its elegantly façaded nineteenth century buildings and avenues. Its comfortably furnished and well equipped studios and apartments have great views of the surrounding mountain peaks and it is perfectly placed opposite to the cable car that carries you up to the slopes in a little over 10 minutes. The ski area of Cauterets has some of the best snow in the Pyrenees and often gets quite prolific snowfall. For lovers of downhill there is the Cirque du Lys while cross country skiers can enjoy the trails in the heart of the Pyrenees National Park and the famous Pont d'Espagne with its waterfalls and natural beauty. After a day on the slopes perhaps the hottest seats – literally – in the house are the ones around the grand central fireplace that dominates the large bar and lounge area. It is the perfect place to unwind with your favourite tipple – and your friends or family – recounting the day’s adventure! 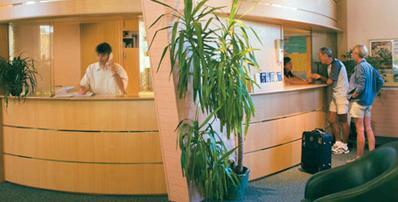 Facilities at Le Lys residence include free access to the computer room, games room and gym. A lift, free Wi-Fi internet access at reception, games room (Billiards, Table tennis, table football, arcade games), Garden area, Fitness centre (FOC) and small wellness area (treatments payable). Children and adults alike will love the games room with its traditional arcade games, pool table, table tennis and table football. For those that enjoy the solace of a good book, the reading room is the place to be. 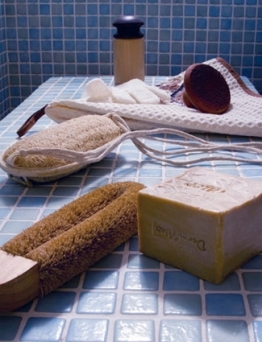 For those that need to relax aching muscles, sauna, massages and body treatments are available at the small wellness centre within the residence. You could even try one of the famed thermal spas such as the local Bains du Rocher with its natural hot spring water, tropical showers and outdoor lagoon. 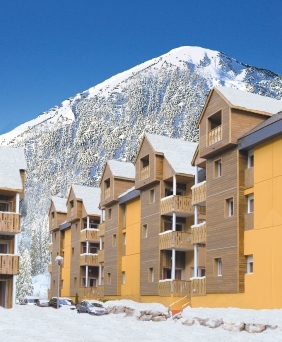 All the comfortable apartments Residence Le Lys in Cauterets are fitted and furnished to a good standard of comfort and convenience. They all have a small kitchenette with 2-ring ceramic or electric hob, fridge, dishwasher, small oven (on request), electric coffee-maker and toaster. 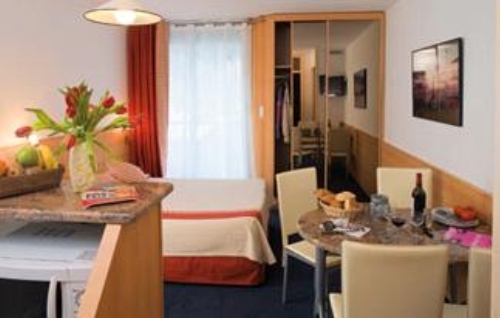 All apartments have a flat screen satellite TV, direct line telephone and hairdryer in the bathroom and a balcony. 1 bedroom apartment sleeping 5 (ca. 35m2): Living area with double sofa bed, alcove with 1 single bed, 1 bedroom with double bed, bathroom & WC. 2 bedroom apartment sleeping 8 (ca. 55-60m2): Living area with double sofa bed, separate alcove with bunk beds (can be closed off with door), 2 bedrooms with double bed, bathroom & WC, shower room. Please note: for any apartments/chalets that feature bunk beds, sleeping in the top bunk is not recommended for children under the age of 6 years old and not for children over 14. Fully equipped studio/apartment, bed linen with beds made on arrival (including sofa beds), end of stay cleaning (excluding kitchen area & dishes), TV, Wi-Fi internet access at reception. 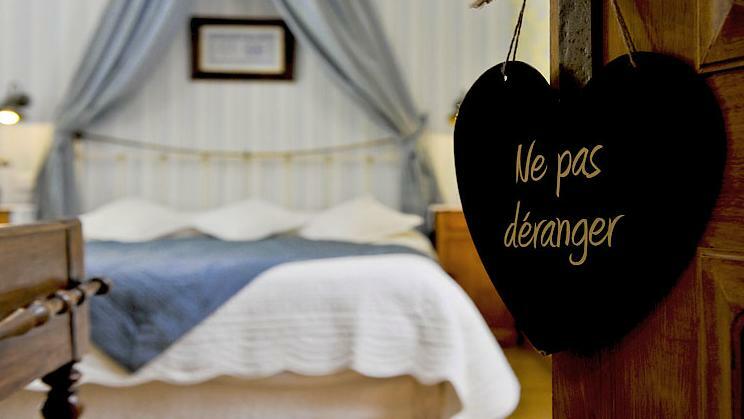 The loan of cots, highchairs, baby baths & bottle warmers, (request at time of booking, 1 cot, 1 bath & 1 highchair max per apartment), irons, ironing boards, fondue and raclette sets is also possible at Residence Le Lys (all subject to availability). Local public car park: €30/car/week (subject to availability). Refundable breakage deposit: €300/apartment - Please note: no deposit, no keys! Local Tourist Tax: €1.03/person 13yrs+/day (guide price). Breakfast served in your apartment (served up to 11.00am): €10 per person. Towels: €2/large towel; €1/small towel. Wi-Fi in apartment (€10 per week). 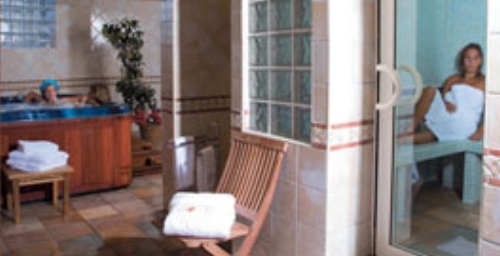 1 hour private use of the Indoor Jacuzzi, sauna or steam room with towels provided (€8 per activity per person or €20 for 3/ 4 people for 1 activity or €11 per person or €28 for 3/ 4 people for 2 activities – reservation at reception. Laundry service (€4.50 per wash €3.00 per dry). Only one pet (over 1 year old and on a leash) per apartment is allowed and will be charged €35/1 week stay (payable locally). A valid passport for your pet is compulsory. Cots, highchairs, baby baths, bottle warmers (request at time of booking, subject to availability), raclette and fondue sets (all subject to availability). Daily: 08.00 - 12.00 & 14.30 - 19.00. Arrival day at Residence Le Lys is Saturday 0r Sunday (unless otherwise stated) 17:00 - 19:00 and Departure by 10:00. An intimate, welcoming residence with a wealth of amenities for its size. Located close to shops, bars and restaurants and just 100m from the gondola that takes you to the resort slopes. 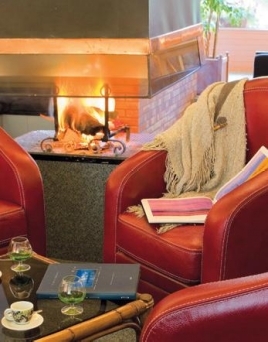 Warm and cosy, traditionally-styled 19th century hotel centrally located in a tranquil part of town with impeccable family service and just 100m from the ski lift. 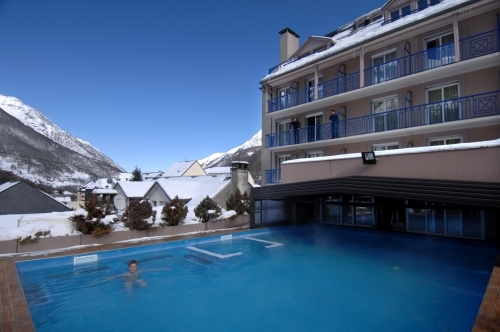 An ideally located residence with its own spa centre located in the heart of the illustrious town of Cauterets, just 100m from the gondola that takes you to the resort slopes. A large residence located in the upper area of the beautiful spa town of Cauterets. 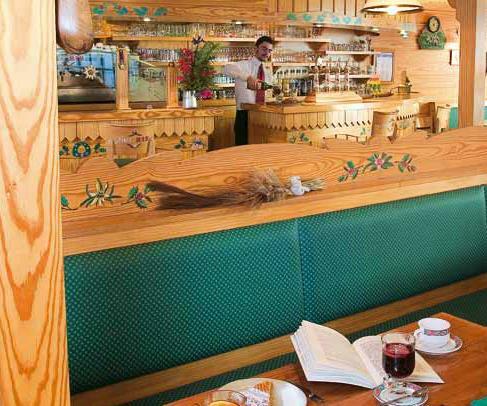 It is ideally located just 500m from the Lys cable car and 1km from the village centre and renowned thermal spa.